Online registration for this event is now closed. If you wish to attend, please email us at alumnievents@city.ac.uk. 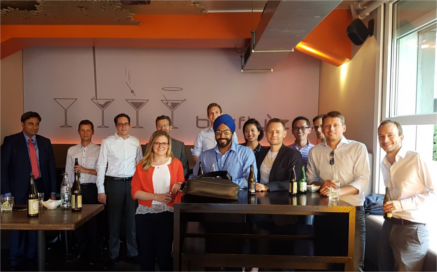 Our Alumni Ambassadors for Zurich, Amrit Sohal and Samuel Lieberherr are delighted to invite all City, University of London alumni to a networking drinks on Wednesday 28th March at Gainsbourg Bar in central Zurich. This evening will give alumni a great opportunity to network and reconnect with fellow alumni in the country. Get to know your local ambassadors here. Please note that this is a self-funded event, so you will be asked to pay for your consumption. Amrit is looking forward to seeing you there! You can already start networking by joining the Switzerland Alumni - Cass Business School & City, University of London LinkedIn Group.